A New Year, a new love and a new life – thinking back on the year gone by, is a bit of a shock really. A lot has changed since I last updated. It doesn’t really seem like I’m the same person, but I am, inside at least. My story since then was most definitely a whirlwind romance filled with moving house, a stunning new family and an old-new city to get used to. So if you think the myth of catching the bouquet and garter is untrue, think again! I met my new hubby on my cousin’s wedding in March last year – the only reason that he mustered the courage to talk to me is because I caught the bouquet (for the first time in my life!) and he caught the garter! His first words to me was: “I can’t dance!” and he tripped me up with those blue eyes of his! 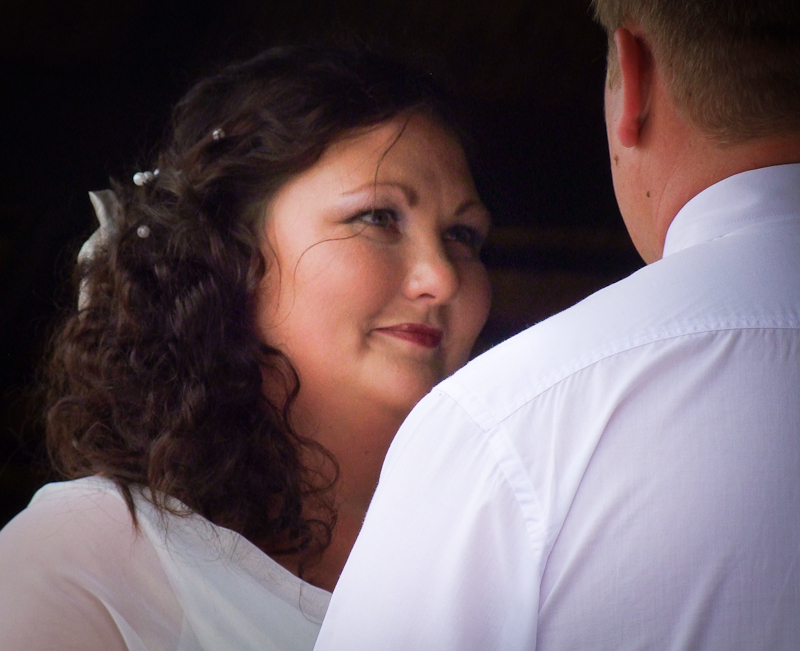 One of the biggest challenges of our new relationship was the distance – he lived in Pretoria and I was cosily settled in Somerset West. 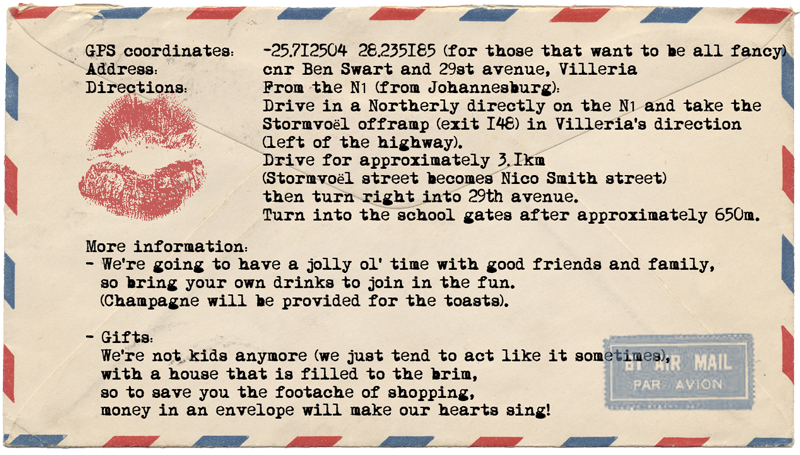 We made the decision that I would move up to Pretoria, as both our families were up here (except my mom and sister). And even quicker we decided to get married, with support from both our wonderful families! So 5 months and 1 day after we met, we got married and it was perfect in every way! We were surrounded by family and there was no lack in help. My hubby’s 4 aunts offered their help with the food, decor and venue (even including the cutlery, crockery and table flowers) and they did an amazing job. My mom and her sister made my dress in 5 days (yes, 5!) as my mom only arrived back in the country a week before we got married. My brother did all of our printing of the menus, table names and directions as well as being our master of seremonies. My sister and my hubby’s cousin did our photos. One of my hubby’s aunts did my bouquet with dainty little orchids out of her garden. My friend made the most delicious Honey Jack Daniels coffee chocolate cake. All of this was pulled off in about 5 weeks. What can I say, I’ve got amazing friends and family (new and old)! My theme for the wedding was SA Vintage, mostly because it’s such an easy theme to pull together with such a big group of people helping. Everybody’s got an old tin or random vases lying around, and it just made sense to use what we already had. Pinterest was a great help – on my board I made especially for the wedding, I could collect ideas and concepts that I liked and wanted to use. This I shared with everybody that was helping so that we were all on the same page regarding hair, makeup, decor and my dress. I was just lucky to have such amazing people in my life that could take these ideas and run with it, as I’m not the best organiser in the world. 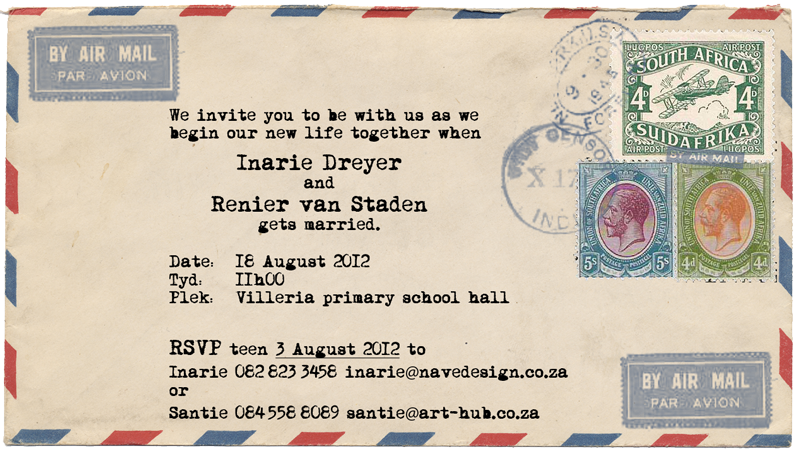 My inspiration for the invitations came from my granny that passed almost 2 years ago. She still knew the magic of a letter – I still have every single letter she wrote me while I lived in the UK, complete with airmail envelope and addressed with her old Olivetti typewriter! 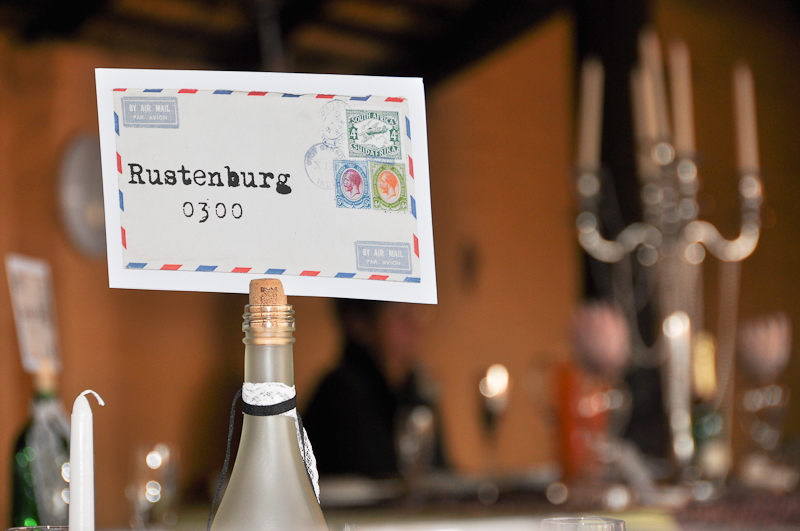 In keeping with the whole style of the invites, we decided to name the tables after towns that my hubby and I lived in since we were born, keeping Pretoria for the main table. So for a few hours it was possible to travel from Somerset West to Pretoria in just a few seconds! 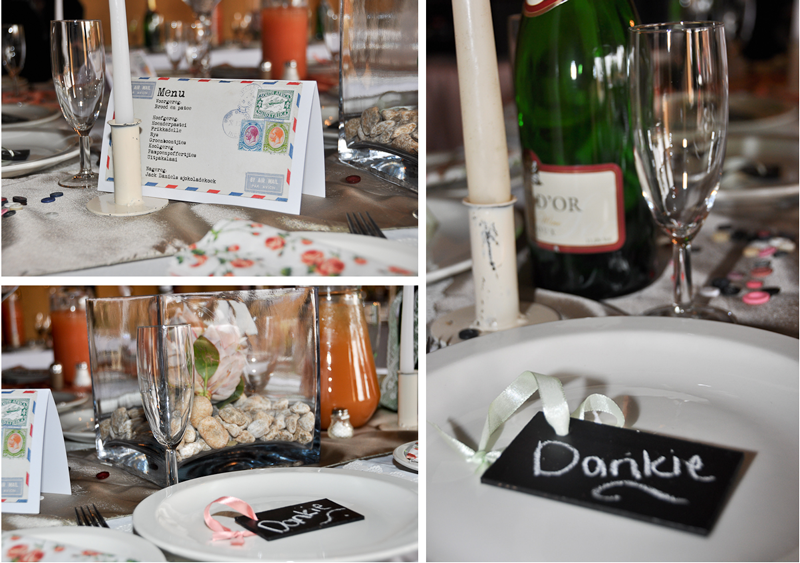 The table names were held up by frosted bottles, with lint and lace tied around it. The rest of the table décor was single queen proteas in random shaped glass vases, buttons strewn on the table cloth, old candle holders with serviettes with a rose pattern on it. Gorgeous! The food was delicious, with traditional South African dishes like frikadelle, pampoenpoffertjies, hoenderpastei and groenboontjies. 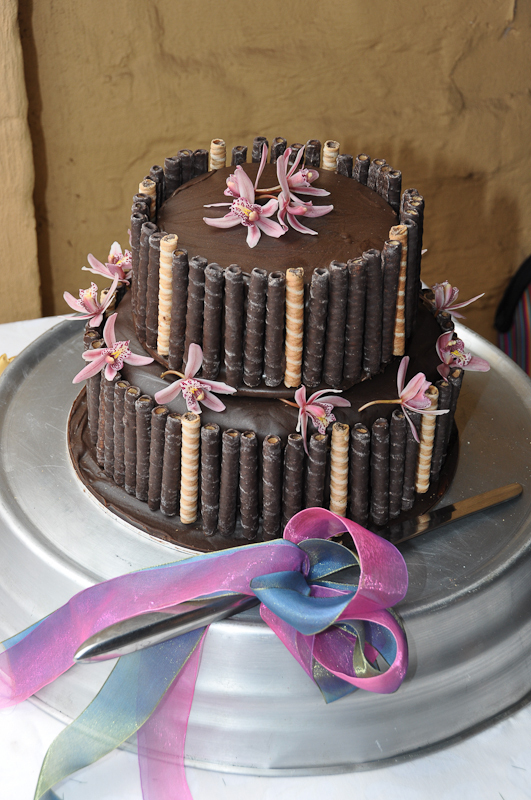 All of this wonderful food was rounded up with a Honey Jack Daniels coffee chocolate cake, covered in ganache and surrounded by wafers. I was quite surprised the next morning when she handed me “something old” … it was my granny’s little beaded handbag with one of her hankies inside. Needless to say we were all very close to tears then. 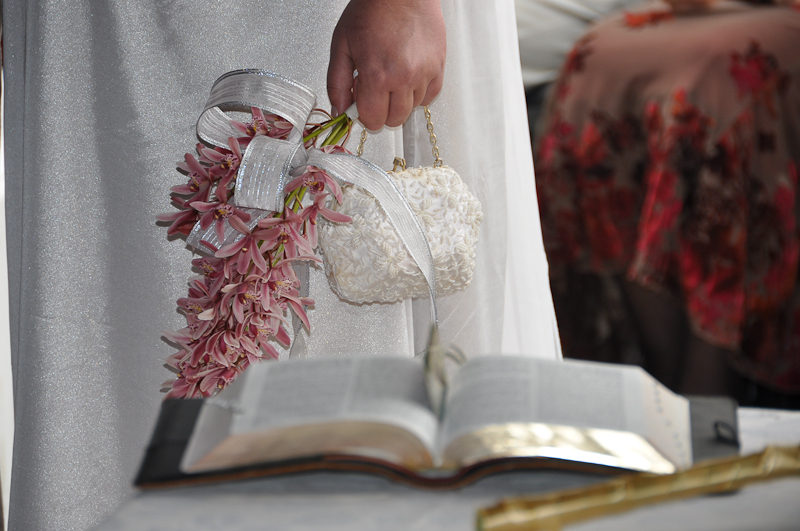 What was perfect about it was the fact that it was small enough so that I could carry it with my bouquet and have the essentials with me! 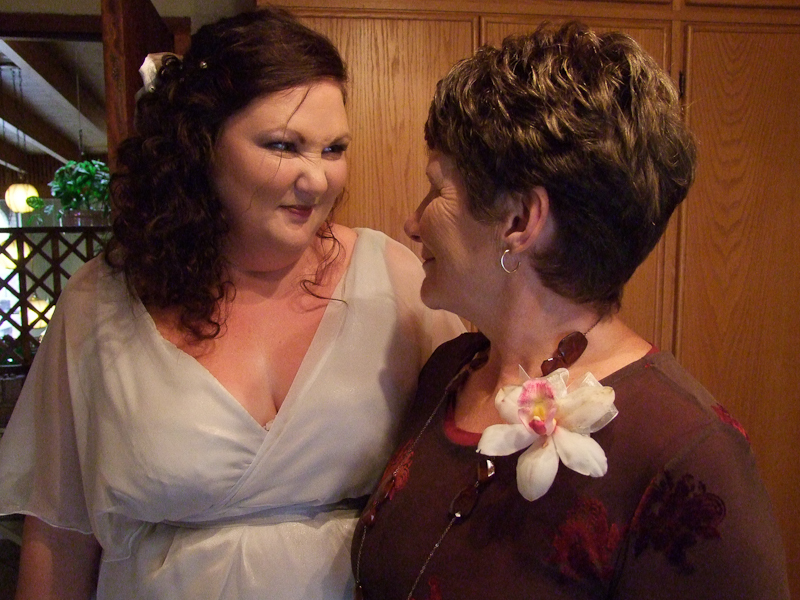 One of the saddest things for me about our wedding day, was that my dad wasn’t there to walk me down the aisle. I think every little girl dreams about the day she walks to her new hubby on her dad’s arm, but I was privileged that my mom did the honors. My sister was serious enough for all of us, that is what caused the face pulling (and the fact that I really prefer to be the photographer, not the focus!). My confetti was lavender out of my sister’s garden. I simply love lavender, and when I bounced the idea off my sister she offered to bring as much as she can. We had a massive giggle though, because we didn’t keep in mind that my sister has to pass through security at the airport (as she flew in from George). Her nerves were in tatters because she was convinced that they would think she’s smuggling drugs! My brother also thought that the (almost) dry lavender would make a perfect missile to hit my hubby. He was right. All in all, it was a day to remember with friends and family having a great time and making our promise before God.